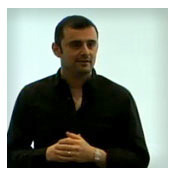 Wine Library TV Host and social media expert Gary Vaynerchuk will stop in Albuquerque to share his insight into the keys to successful entrepreneurship during a talk about his new book, The Thank You Economy. The author’s previous book, Crush It, opened at #2 on the New York Times bestseller list. Co-hosted by Bookworks and the Anderson School of Management, Vaynerchuk will speak in Woodward Hall at 7 PM on March 15. Free, open to the public. This entry was posted in Uncategorized and tagged ABQCityLife, Albuquerque, Anderson School of Management, APPCityLife, book signing, Bookworks, Crush It!, Free Event, Gary Vaynerchuk, New Mexico, The Thank You Economy, University of New Mexico, UNM. Bookmark the permalink.